At a time, when India should post increasing solar installations numbers, the country observed a sharp fall in the installation rate in the second quarter. Solar installations declined by more than 50% in the second quarter to 1599 MW from 3344 MW in the first quarter. The installations also fell when compared to the second quarter last year which was 2025 MW. Industry experts are blaming uncertainties around trade cases and module price fluctuations for this decline. They expect further installations numbers to be weak till the industry gets used to safeguard duty impositions. Large-scale installations totaled 1184 MW as compared to 2954 a quarter earlier. Rooftop installations, however, caught momentum and stood at 415 MW during the quarter as against 390 MW during the previous quarter and 225 MW in Q2’17. The industry experts feel that the pace of growth in the rooftop solar sector might slow down as a result of an increase in project cost due to safeguard duties. 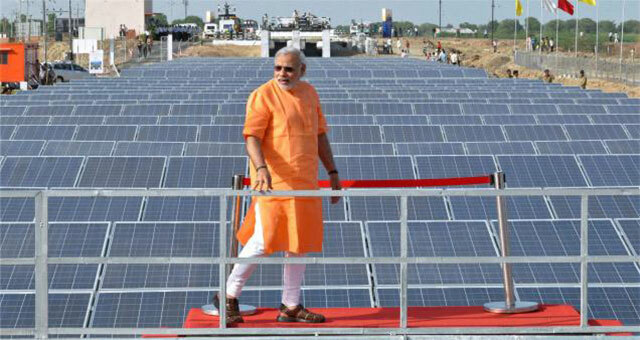 India’s cumulative solar installations stood at nearly 25 GW at the end of the second quarter. Solar power is gradually gaining traction and is slowly becoming mainstream in many countries around the world. India’s commitment to reduce its carbon footprint and aggressive solar installations entail the country to keep increasing its installations year after year. Any uncertainty due to policy changes will definitely hamper the pace of development. Due to uncertainty around the safeguard duty, solar activity in the first half was slow and is expected to go slow till safeguard duties’ impact wears out. Mercom India expects total installations would stand at 8.3 GW at the end of 2018.